These floating hexagon stairs are very different and unique (kind of scary). Prada went full hexagonal with these printed designs for their past Spring 2012 collection. The floating staircase above designed by architect Oscar Niemeyer is absolutely phenomenal. 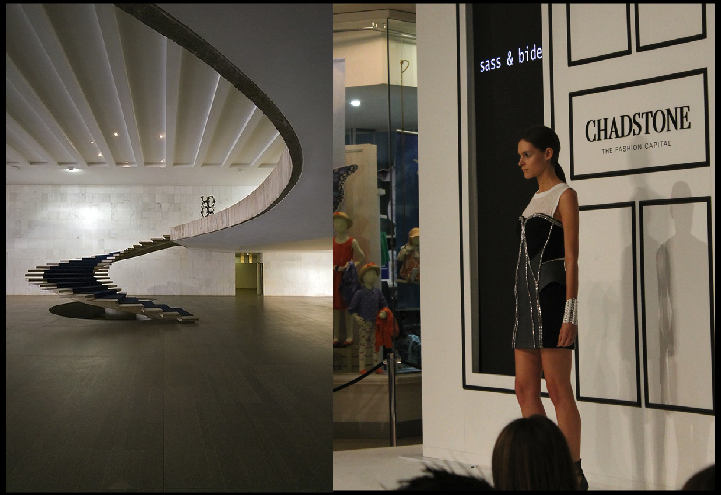 Great use of lines and space just as Sass & Bide did with this dress above. This ultra modern silver metallic interior design and fashion design is really just so fun and amazing! Fashion on the right designed by WHY RED for Spring-Summer 2015 Spring collection. A little paint can go along way! J. 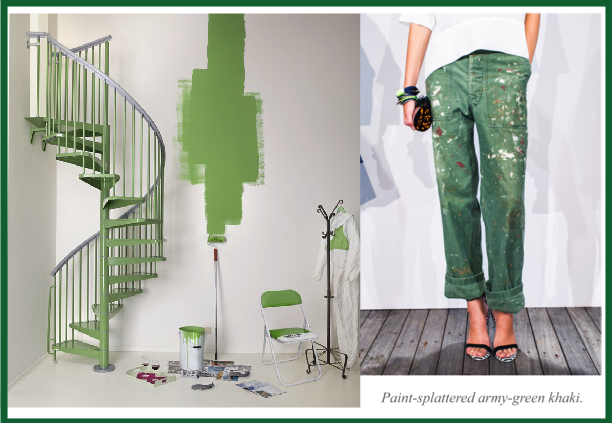 Crew had a little fun when designing these paint-splatter green khakis for their Spring 2013 collection. 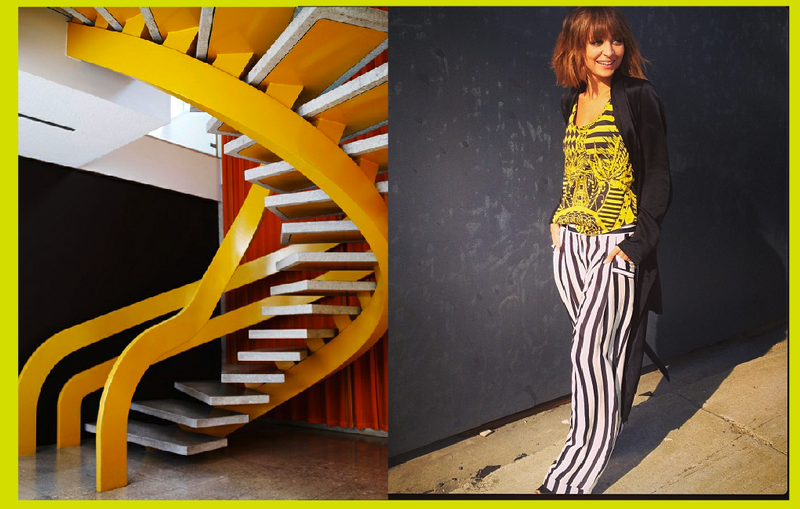 This retro staircase is so unique and pairs well with Nicole Ritchie's BALMAIN linen tank and striped pants.